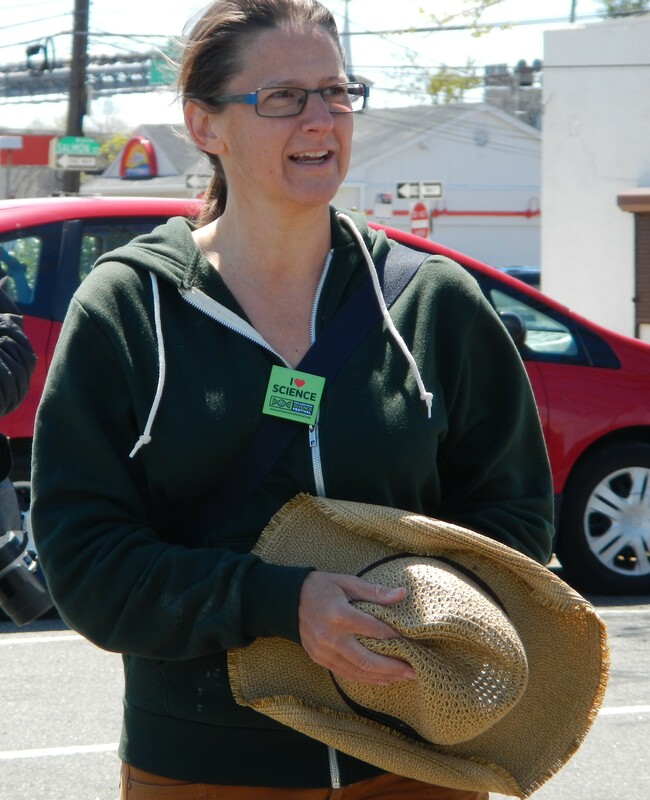 Eve Mosher, the artist and inspiration behind the HighWaterLine. 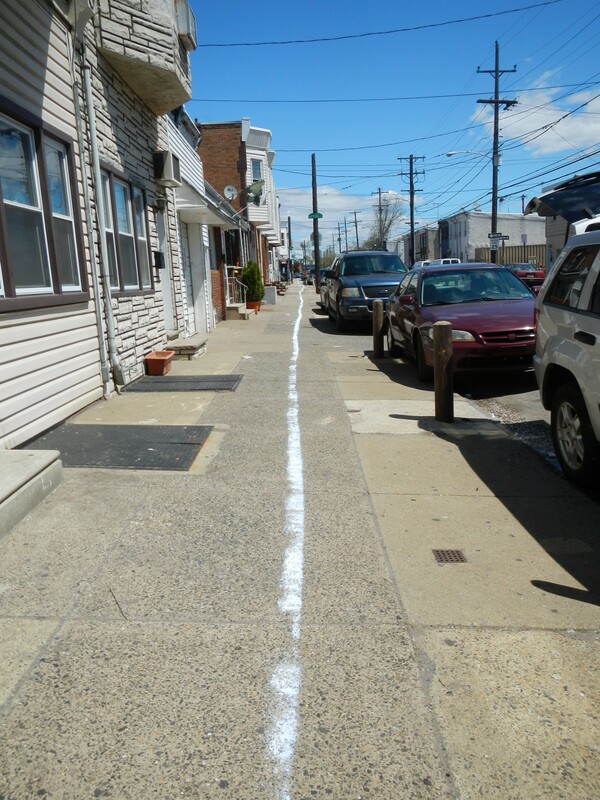 Join artist Eve Mosher and fellow Philadelphians as they draw the HighWaterLine—a bold chalk line illustrating areas susceptible to increased flooding caused by climate change. As you walk along the route, contribute to the conversation about the impacts of climate change and potential solutions. Route of the chalk line, representing a 10-foot rise in sea level. So we loaded up the chalk line field marker (once we got air in the tires) and headed out. There were approximately 20 of us that ventured to not only create public art but to engage the public in conversation around climate change and rising sea level. The pictures below capture some of the experience. Before we set off, we met in a Target parking lot. Air in the tires? Check! Van full of chalk to reload as we go along? Check! 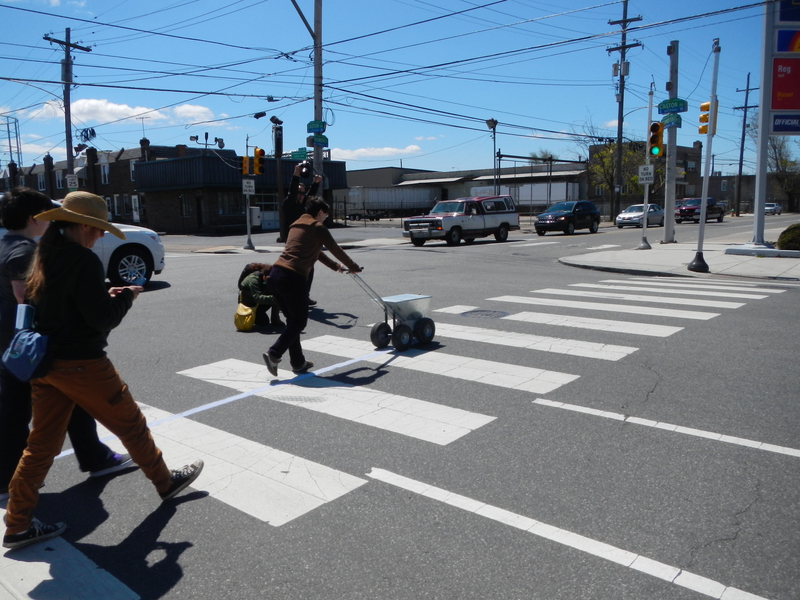 The start of the chalk… I mean, the Philadelphia HighWaterLine! The line extended for 3 miles (or 4 miles – we were told two different lengths). It was a chilly, windy day, but a great day to be outside. I didn’t walk the entire length, as it would have involved walking/chalking the 3 miles, and then walking back 3 miles to get the car – not that I couldn’t have walked the 6 miles, but I had to get back home to write a report for a colleague at work (yes, even faculty have homework to do on the weekends!). 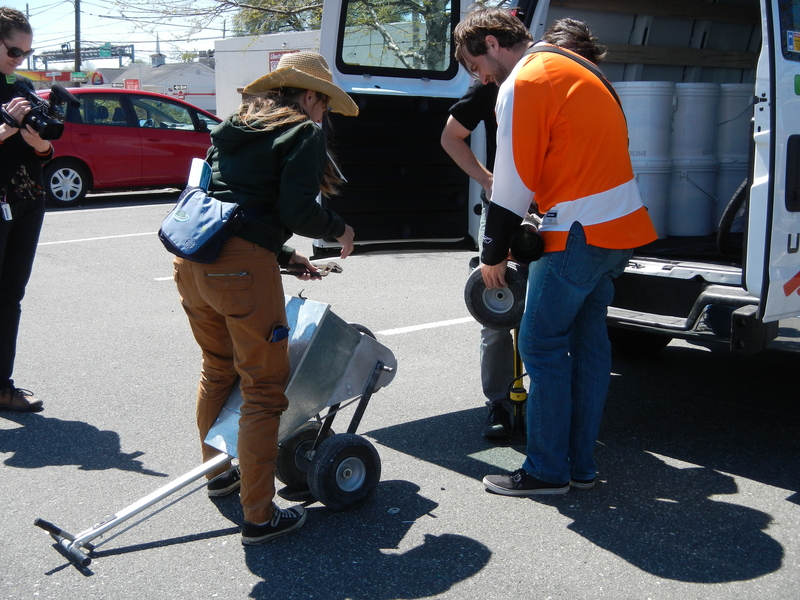 Were we effective with the overall goal of the project, “demonstrating how art and science can connect to promote community action, preparation, and resilience”? There were several sections we walked by (such as pictured here) where no people were out, and I wonder what they thought about the chalk dust on their sidewalk. However, I saw via Twitter (#HighWaterLine) that there were some spots the group walked by where they were able to engage in conversation with people outside. I look forward to investigating the websites of organizations Eve recommended working on climate change impacts in Philadelphia, such as the Philadelphia Water Department, New Kensington Community Development Corporation, and the Climate & Urban Systems Partnership. 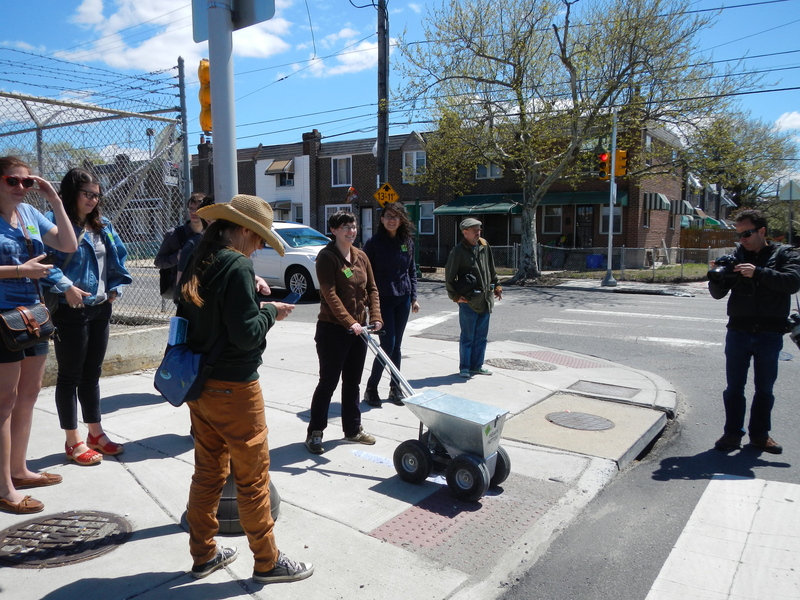 The HighWaterLine Project was part of the Philadelphia Science Festival and the Chemical Heritage Foundation’s Sensing Change art exhibit – which I can’t wait to visit next! For more information, visit CHF’s HighWaterLine exhibit page, and the overall project page for HighWaterLine where you can read about previous HWL events in Miami and New York City.